Gaudi's Barcelona has not only changed the map of one of the great European cities — and once home to hundreds of thousands of commercial Jews during Spain's golden era — but he changed the artistic world: enlivening it, bringing modernity to old buildings, to old forms. 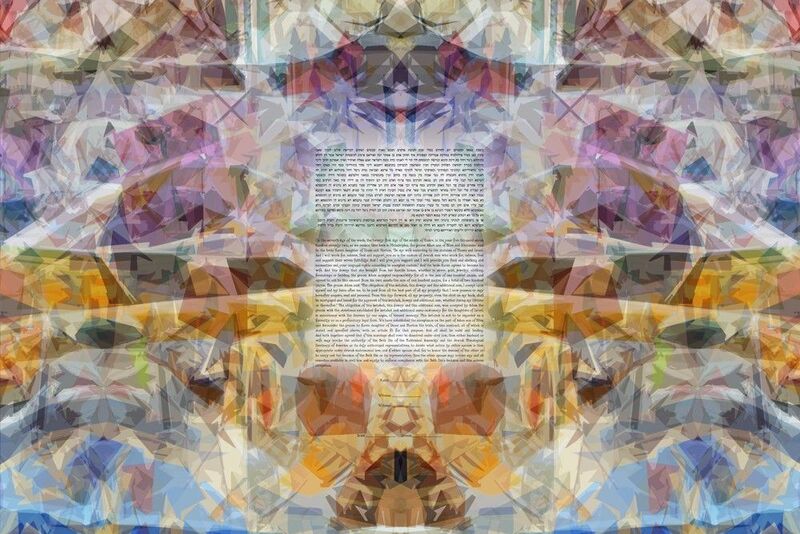 The Bold Kaleidoscope Ketubah is how we imagine Gaudi himself would have approached a Kaleidoscope: colorful, diverse, but coming together as a unified whole. This is perfect for the couple that embodies these same elements, especially through their marriage: colorful, diverse, and coming together as a unified whole, this Ketubah's for you.